All branches will be closed Sunday, April 21, for the Easter holiday. Our digital collection is available 24/7. 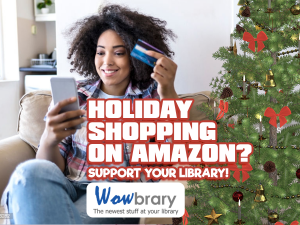 Did you know that you can earn money for your library when you are shopping at Amazon at no additional cost to you? You can do this with all of your Amazon shopping - not just books. Check our Support the Library page for more ways to help your library!